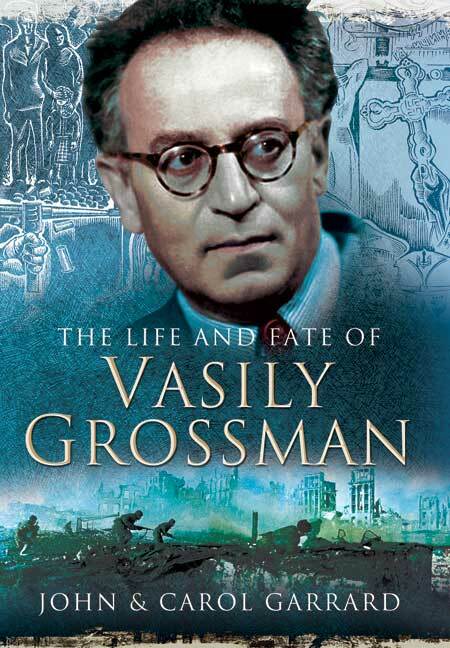 You'll be £25.00 closer to your next £10.00 credit when you purchase The Life and Fate of Vasily Grossman. What's this? Vasily Grossman (1905-64) served for over 1,000 days with the Red Army as a war correspondent on the Eastern Front. He was present during the street-fighting of Stalingrad, and his 1944 report 'The Hell of Treblinka' was the first eyewitness account of a Nazi death camp. Though he finished the war as a decorated lieutenant colonel in Berlin, his epic novel of the battle of Stalingrad, Life and Fate, was suppressed by the Soviet authorities and never published in his lifetime. Declared a 'non person', Grossman died in obscurity. Only in 1980, with its posthumous publication in Switzerland, did his masterpiece gain an international reputation. The Garrards' meticulously researched biography is the first account of his life to make use of unpublished archival sources that only became available after the collapse of the Soviet Union. This vivid portrait of Grossman's life in a totalitarian, anti-Semitic state, using evidence Grossman knew but could not publish, gives chilling support to the writer's conclusion in Life and Fate that the Nazi and Soviet states were mirror images of each other. Although it reflects the era of its original writing - with bright-eyed claims about fresh archives, an ironic statement today given the wave of re-secretizing in Putin's Russia - the Garrard's biography remains a definitive treatment of one of the Soviet Union's most significant writers. A comprehensive treatment of Grossman's life and work. It remains an indispensable source and reference point for all those interested in Grossman. John & Carol Garrard’s fascinating, deeply researched book on the “Life and Fate of Vassily Grossman” gives the reader a very clear insight into the horrors of the War on the Eastern Front. They reveal the truth about the terrible loss of life, not only by mass genocide of the Jews by the Nazis, but also the callous sacrifice of millions of patriotic Russian soldiers. This is, in my view, the major achievement of this remarkable book. For anyone interested either in WWII or Soviet Communism, this book is a must. Husband-and-wife Russian experts John and Carol Garrard highlight complex Jewish aspects of their subject's own life in The Life and Fate of Vasily Grossman, writer of the seminal 20th century epic, Life and Fate, recently receiving renewed popularity after the BBC's dramatisation of Robert Chandler's fine translation.